Getting calves and abs to GROW! Probably the two hardiest muscle groups for most people to train and grow is the calves (well, legs for that matter) and the abs. Sure there are some genetic gifted lads out there that just blow up by looking at a protein shake but for us average folks it sometimes is close to impossible to get hose two muscle groups to grow and respond effectively with training. And then you get these over 40 dads climbing up on the treadmills and their calves are the size of my waist. I am not joking here…it is ridiculous. Maybe it is something to do with why South Africans are so good in Rugby? Well, I am Afrikaans and a South African but I sortoff missed that gene…! I’ll go and talk to my mom and dad! But for us average folk, there is a good reason why calves and abs don’t respond the same as other muscle groups to training. 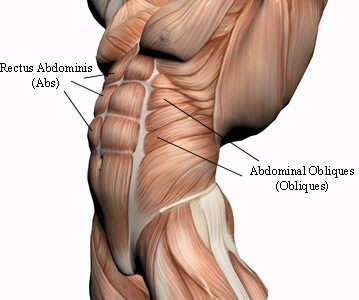 The two muscles you use more than any other muscle in your body is the calves and the abs. For just about everything you do, these 2 muscle groups are active and busy working while all the other muscles groups only get used infrequently as when needed. What it boils down to is that calves and abs specifically have a type of muscle makeup that respond to different type of training type and frequency than all other muscle groups. Because they get use so often, you have to train them in a fashion that they will understand. The key here is “frequently”. Both these groups need to be trained 2-3 times a week. And they must be trained HARD. Hitting them with a higher frequency than once a week is just about the only way that most of us is going to get a decent growth response from calves and abs. You don’t have to do too many sets and exercises but at least 2 x 3 sets of 2 different exercises. Burnouts is a good idea because it is a “language” calves and abs will understand. With burnouts you will start at the heaviest weight and do about 8 reps, then without resting lower the weight one step and do as many reps to failure. Continue with this until you can only squeeze out 2 reps. It hurts like hell but is great for growth stimulation for calves and abs. All the other muscles groups should be trained only once a week at high intensity. Training other muscle groups more than once a week is moving very close to overtraining, which will mean a decrease in muscle size as well as feeling exhausted the whole time. Slot calves and abs in once a week before a training session and once a week after a training session and on the last day of training do them on their own. Many guys struggling with calves and abs had good success with such an attack. Obviously all the other factors needs to be in place: eating for muscle growth, resting well enough and train wisely. The muscle group called the calves actually include several muscles although most only focus on two: the gastrocnemius and the soleus. The primary function of these muscles is to act as plantarflexors (pointing the toe) although the gastroc also has very weak knee flexion activity (which is why some people will catch calf cramps on leg curl type movements). 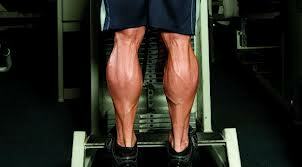 This is also why doing calf work with the knee bent (e.g. seated calf raise) tends to work the soleus preferentially, since the gastroc crosses the knee, if the knee is bent, the gastroc can’t contribute as significantly to force output. Put differently, if you do a straight legged calf movement, both the gastroc and soleus get trained, if you do bent-knee work, only the soleus really works. Anatomically, the soleus essentially lies ‘underneath’ the gastroc but both give the calf its distinctive diamond like shape (when developed). As I sort of alluded to above, the soleus doesn’t cross the knee, the gastroc does (why it can function as a weak knee flexor). Many people seem to still think that the calf is a primarily slow twitch muscle but this is incorrect. The gastroc is actually a fast twitch muscle and is involved in explosive type movements. This is actually part of what is colloquially referred to as Black Man’s Calf Syndrome. 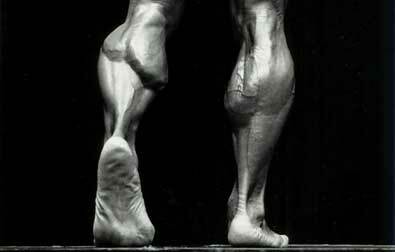 Black bodybuilders have commonly been completely unable to develop calves and the function of the calves is part of why. High/short calves are excellent for jumping and sprinting but have little potential for growth, they are simply too short. Black bodybuilders (or white bodybuilders for that matter) who have a short/high gastroc with a long tendon will make fantastic jumpers and sprinters; but great calves they will never have. In any case, the soleus is predominantly a slow twitch muscle as it is more involved in overall stability (what rehab types often call a tonic muscle) of the ankle complex. The difference in fiber type between the gastroc and soleus has implications for training that I’ll get to at the end. I really should note another issue with the calves and that has to do with the very tiny lever arm of the achilles tendon relative to the ankle (the axis of rotation). Because of the specific anatomy of the calves, a rather small muscle can actually generate a massive force (technically: torque) around the ankle. This is one reason that many people can use such absolute massive amounts of weight on calf work (in addition to something I’m going to talk about below). So Why are the Calves So Stubborn? I haven’t honestly ever seen anything to suggest that the calves are genetically resistant or prone to muscle growth but there is one lesser well known biological fact about calves that contributes to the difficulty in making small calves into big cows (see what I did there?). I’m assuming that everybody reading this knows or has heard of androgen receptors (AR). The AR is what testosterone and related molecules bind to and one of the effects is to stimulate protein synthesis. In men, there is a distinctive pattern of AR whereby there is a higher AR density in the upper body (especially the traps and shoulder girdle which is why steroid users tend to have their shoulders BLOW up when they take anabolics) decreasing as you move down the body. If you think about it, this makes sense, since the typical wide shouldered v-shape is sort of the ideal ‘male’ physique, and we evolved like this for a reason. By the time you get to the calves, the AR density is very low. So even if you train the absolute hell out of them they simply don’t get the same training effect because testosterone can’t exert as much of an effect. Even the legs of most men don’t have the same androgen receptor density as the upper body; yes, I’ve just given you guys an excuse for chicken leg syndrome. 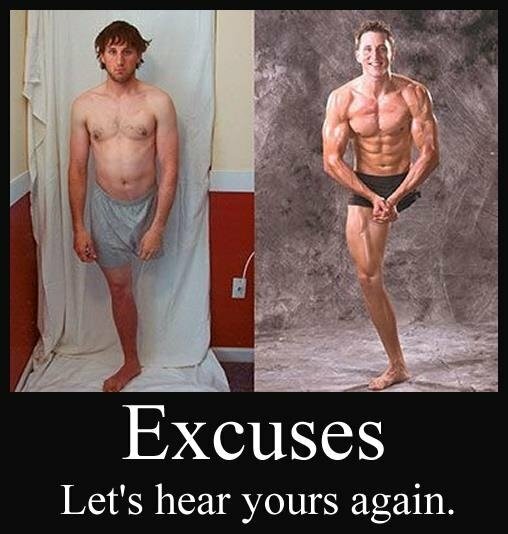 On this note, my friend and altogether too smart guy Bryan Haycock once hypothesized to me that he thought that modern bodybuilders had better legs and calves than guys of old due to their essentially year round anabolic use. By constantly bombarding even the low AR number of the legs and calves with constant dosing (not to mention that studies show that steroids actually upregulate the AR number), he felt that this contributes to better leg size (compare for example, the size of Lee Haney’s legs to that of Arnold in his prime, despite all that squatting with logs, Arnold had proportionally smaller legs compared to his upper body). In any case, this is a big part of the reason that the calves are so hard to develop. I’d note, and this is purely an empirical observation on my part, that some people seem to have somewhat reversed patterns whereby AR density seems to be higher in the lower body and lesser in the upper body. These folks develop legs easily but the upper body never seems to catch up. Women, especially those carrying more weight seem to have this happen but I’ve seen it in men too. Again, no research on this, just an observation over the years. There’s another aspect of calf function that most ignore but that I think contributes massively to most people’s complete inability to develop their calves. Everyone reading this at some point been in the weight room and seen the absolute skinniest of folks bouncing enormous amounts of weight on calf exercises without appearing to be working very hard. They couldn’t do this on any other exercise, did you ever wonder what was going on? To understand what I’m going to explain, I need to talk about elastic tissue and how it stores and recoils energy. Tissues like tendons are termed elastic tissue (meaning that they can stretch/deform and come back to normal afterwards), if you load them quickly (e.g. through a fast eccentric), they actually store energy which you can then get returned to you if you move quickly enough. This is part of why it’s always easier to bench out of a bounce than with a pause (there are other reasons that aren’t relevant here). So just remember that: elastic tissues can store energy and return it if you move quickly enough. And that brings us to kangaroos. Ever seen a kangaroo hop, ever notice how bouncy they are? As it turns out, when kangaroos hop for distance, they do it in a very certain frequency. And research has shown that this frequency allows them to load the tendon on the back of their leg to get a massive amount of elastic recoil; this allows them to keep going and going without using much muscular energy. It’s massively efficient because tendons don’t really get tired. Quite in fact, running shoes have tried to build mechanical versions of this, spring type cushions in the heel of shoes that return energy when you run so that less muscular energy is required. What do you think is happening when people do bouncy bouncy calf work? That’s right, they are basically using the elastic energy return potential of their calves to move enormous amounts of weight without performing much muscular work; and since the combination of tension and work is what stimulates growth…biology isn’t the only reason most people’s calves don’t grow. Most people just train them terribly. I honestly think this is where the idea of doing massively high reps on calves came from: when you bounce, you use such a tiny amount of muscular effort with each rep, that you have to do hundreds of reps to get the muscle to feel anything at all. Of course, there’s a much easier solution; you’ve probably guessed what it is but this brings me to the next section: how to train the calves. I didn’t mention the androgen receptor density thing because, short of taking steroids year round, there’s nothing you can do to control that. But with proper training, we can take all of the above into account. First, here’s my standard go-to calf routine. A straight legged calf exercise: 5 sets of 5 done in the following fashion. From a dead 2 second pause, explode up, squeeze for 1 second at the top, 3 second eccentric (for tempo freaks, this would be written X/1/3/2: explosive concentric, 1 second squeeze at the top, 3 second negative, 2 second pause at the bottom). Take 3 minutes between sets and GO HEAVY. When you get all 5 sets of 5, add weight at the next workout. The gastroc is fast twitch, it responds to heavy loads. The explosive concentric out of the pause will maximize tension, the squeeze makes sure that you’re controlling the weight, the slow eccentric is critical for growth. Note: be careful on the pause, don’t overstretch the calves or you can give yourself plantar fascitis. But don’t cut range of motion either. You want some stretch on the calves, don’t try to drop your heels as far as possible. A bent-knee calf raise: 3-4 sets of 8-10 done in the following fashion. From a 2 second pause, take 2 seconds to squeeze the weight up, brief pause at the top, 2 second eccentric (so 2/1/2/2). 60-90 seconds rest and use as much weight as you can in good form, you may have to drop weight after each set due to fatigue. Being slow-twitch, the soleus will respond to longer sets and more of a fatigue stimulus. This should hurt like hell. Bent knee calf raise: 3-4X8-10/60-90″ rest on a 2/1/2/2 tempo. That’s it, do the above twice per week (once every 5 days if you have poorer recovery) either as specialization or after legs. 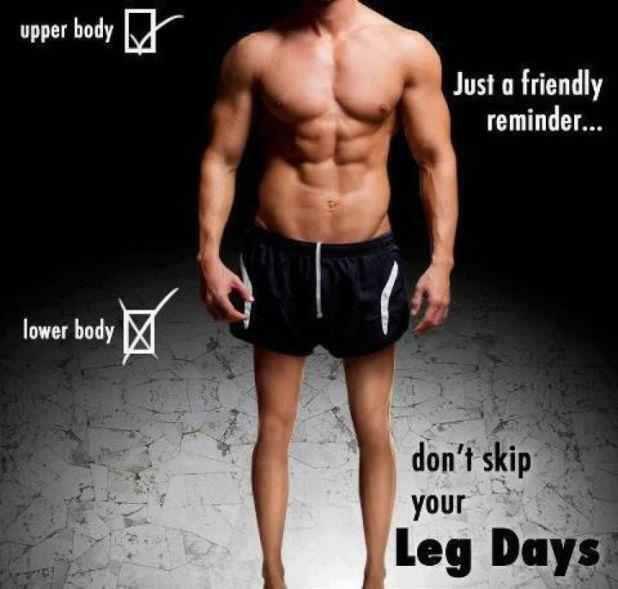 Oh yeah, and you need to be gaining weight to grow calves (or any body part). You’re not going to build muscle out of thin air and wishful thinking and if you’re not gaining weight while doing the above, you won’t grow anything. Do the above for an 8 week cycle, take the first 2 weeks sub-maximally (you won’t be able to walk the first week if this is your first time dead pausing calf work) and then push the weights as much as you can (especially on the heavy sets). After 8 weeks, drop the weight for 2 weeks and either hit it again or move on to something else. I can’t guarantee that the above will turn your piddle calves into cows but compared to how 99% of people train calves, the above coupled with a slight caloric surplus can only help. Many thanx for the feedback my friend…it is always much appreciated. Wish u a great day! G.
Thanx for the feedback bud – appreciate! G.